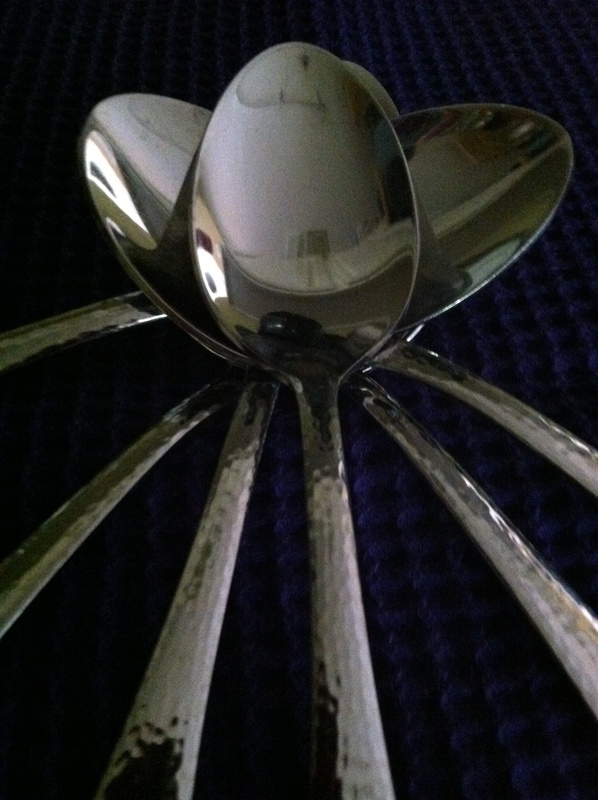 Spoons! The first utensil we learn to eat with is my favorite way to taste and eat. A spoon cradles the food, carries the sauce and tips into your mouth with an elegance a fork misses. Spoons are collected, neglected and are inspired into many uses. Use the back as a mirror, clap them together to make music and conjure silliness by hanging them off the end of your nose. A spoon is the best for digging into a bowl of ice cream in the summer or a nice warm comforting bowl of soup in the winter. On Spoon Feast you will find ways to improve your techniques and skills, discover interesting recipes, some simple and some challenging. Discover flavors and textures, what they are and how to use them. Find out how to grow your own herbs so you always have an abundance of fresh herbs for cooking and wonderful recipes to use fresh herbs from your garden. Eating locally and globally will be explored both for the home cook and the foodies who like to eat out on the town. Let the adventures begin! Get your spoons ready, we’ve got a lot of tasting to do. This entry was posted in Recipes, The Life of a Chef and tagged cooking, family food, family meals, food, global eating, growing herbs, herbs, home cook, local eating. Bookmark the permalink. Great review of Carpe Diem! Great photos of pickles!